Is your home in one of Whittier's historic districts? Check the maps below. There are four locally designated historic districts in the City. They include: Hadley-Greenleaf, Central Park, College Hills and Earlham Historic Districts. The Central Park Historic District was designated by the City of Whittier in 1990 and includes 45 properties. 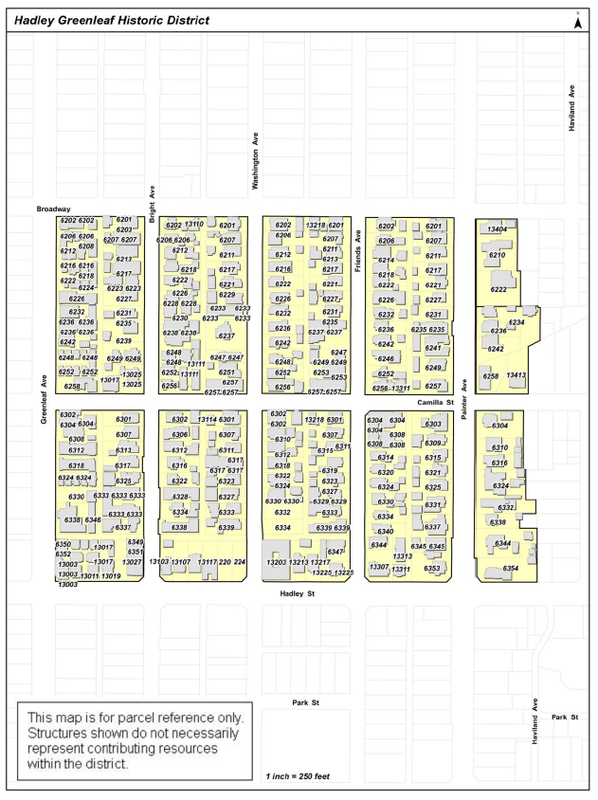 To view the Central Park Historic District boundary map (PDF file), click here. College Hills was the first planned hillside development in the City of Whittier, having been subdivided in 1923. Mastering the steep slopes, grade changes, and curving hills, it represents the earliest large-scale example of hillside residential development in the City. The College Hills Historic District was designated by the City of Whittier in 2002 and includes 97 properties. 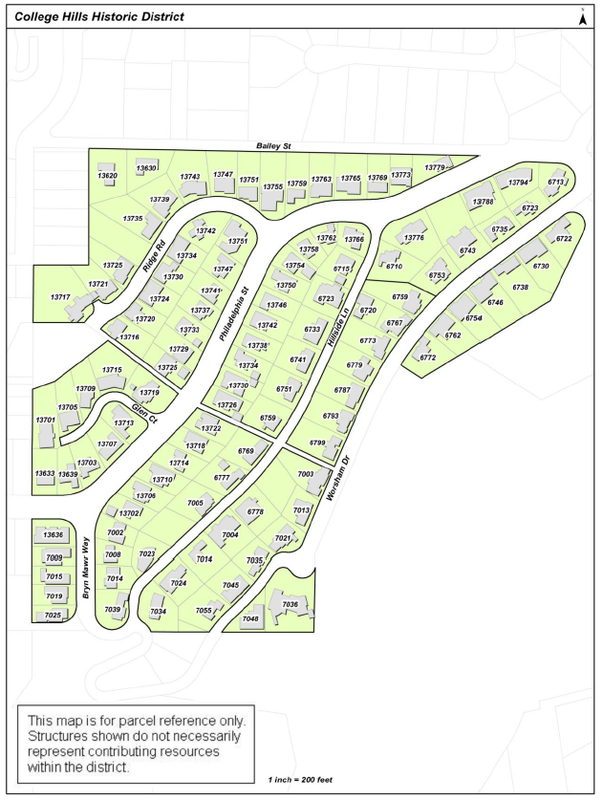 To view the College Hills Historic District boundary map (PDF file), click here. The Hadley-Greenleaf Historic District was designated by the City of Whittier in 1990 and includes over 190 individual properties. 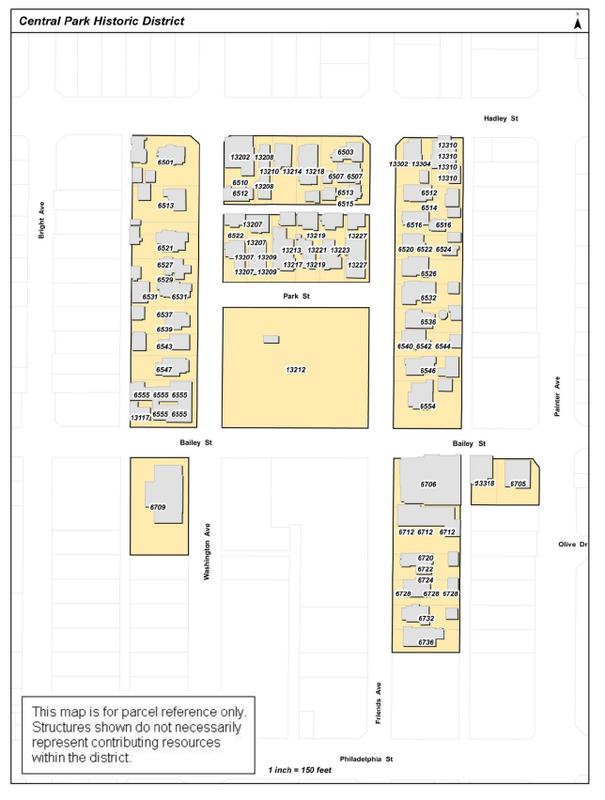 To view the Hadley-Greenleaf Historic District boundary map (PDF file), click here. The seven properties within the Earlham Historic District represent an early Whittier College neighborhood from 1903-1940. Many of the homes were also associated with Whittier College administrators and faculty. The Earlham Historic District was designated by the City of Whittier in 2011. To view the boundary map and contributing resources within the Earlham Historic District (PDF file), click here.